As well as sharing lots of love for the Indian culinary scene in Brum, this blog’s also an ode to the traditional curry’s younger, more ‘hip’ foodie sibling and a new fave of mine – Indian street food. Having been based in the city for nearly a whole year, I’ve only had ONE curry in or around the Greater Birmingham area – undeniably a landmark on the UK curry map. It was a working lunch at Asha’s. Not bad to have your first Brummie curry in one of the best Indian restaurants in the city, but it was only the beginning (and only a limited set menu, more to the point). Much more than curries and Brum’s so-called ‘Balti Triangle’, there are many an Indian accolade across the region that we could and should be shouting about. Of course there’s Lasan and their Raja Monkey, decadent-looking Pushkars and the arrival of Saturday Kitchen’s Atul Kochhar to get excited about (if you like that upmarket Indian kinda thing). But I’m also definitely up for branching out into our wider, wonderful West Midlands area, trying out Wolverhampton’s Bilash, TripAdvisor #1 in my home town Coventry My Dhabba, and some of Knowle’s Indian spots too. Fellow blogger Nosh & Breks has also recently reviewed JoJolapa, a Nepalese restaurant in the city, so branching out of Indian mainland could also be worth a shot. So since my recent visit to the street food newbie in town, Indian Brewery, I’m now officially notching up the Indian street food names on my foodie hit list. IT’S THAT GOOD. Why would I not want to sample more of these delightful Indian snacks, where I can sample loads of the good stuff (Indian tapas if you will 😏), instead of stuff myself with one curry, rice and chapatti where people most often don’t want to share? These dishes were shared between two of us and was just right. 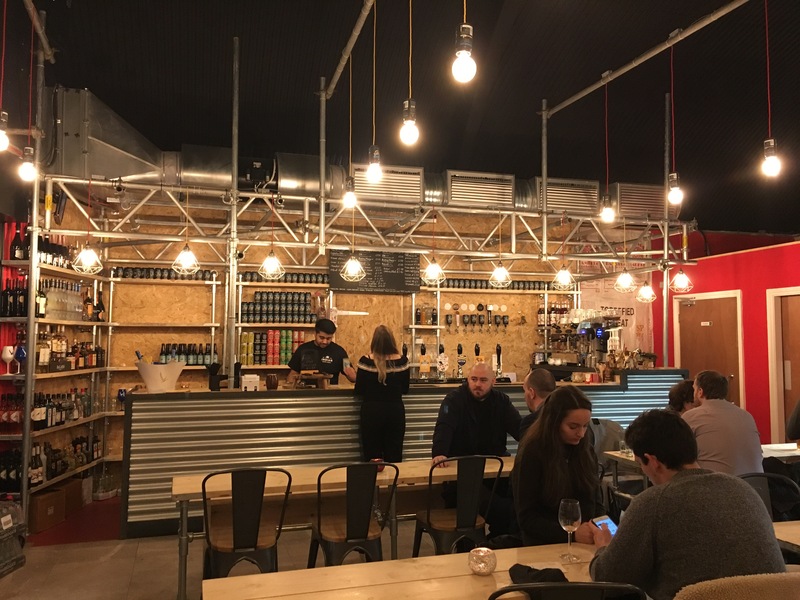 Surprisingly decent glasses of PG and merlot were also thoroughly enjoyed, for a cafe bar showing off their self-brewed ‘Birmingham Lager’ and extensive craft beer fare. All for £23, you can’t go wrong. And next time (there’ll definitely be a next time), their mixed grill is definitely in order, with my name on it (they even said so on Instagram 😏) – it smelt INCREDIBLE. As Paul Fulford put it, “the ambience is Shoreditch-meets-Mumbai.” I most definitely agree, so make sure you’re ok with communal benches before you head over (or count your luck and bag a chair). Street food with a seat… and heating. I like. Not so sure about their Full English breakfast with masala EVERYTHING, but fellow Brum Blogger Brum & Beyond has raved about it, so ‘don’t knock it until you’ve tried it’ and all that. 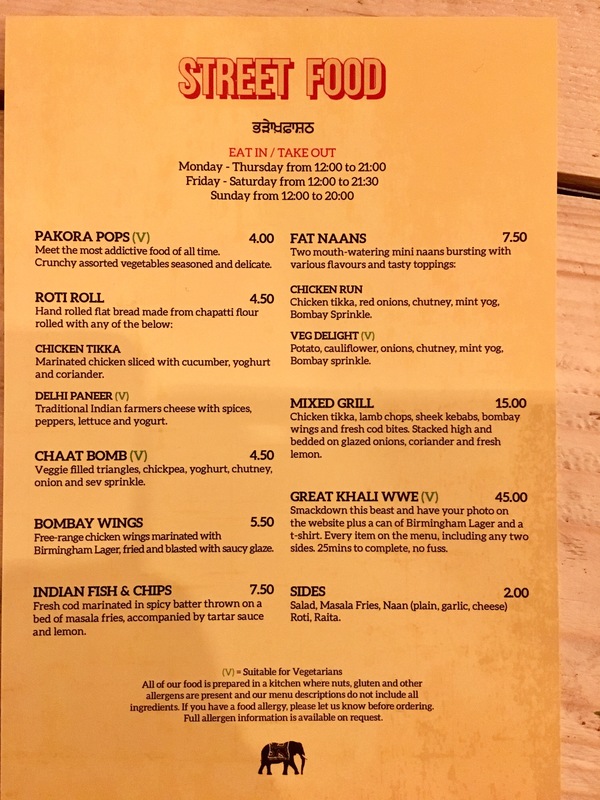 Luckily, we’re now spoilt for choice for this particular foodie trend in and around Brum so where should my next stop on the Indian tapas trail be?! You people in the UK with your massively diverse food culture. Jealous. You’re welcome 😊 Masala fries on a breakfast… I’m kind of intrigued, kind of 🤢? Wow – food looks epic! Definitely need to organise a visit here! Most certainly was! Now desperate to try the other spots in the city too! The food looks amazing! If you ever get a chance, check out The English Indian who is usually at Digbeth Diner. His street food is amazing! His Indian fish and chips are gorgeous! 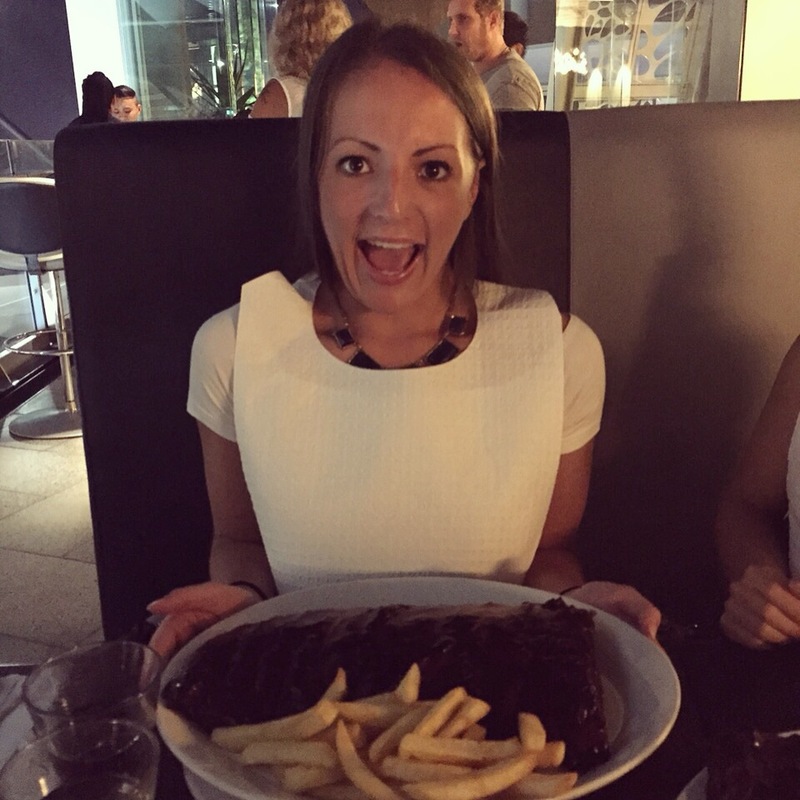 HIGHLY recommended Chloe! 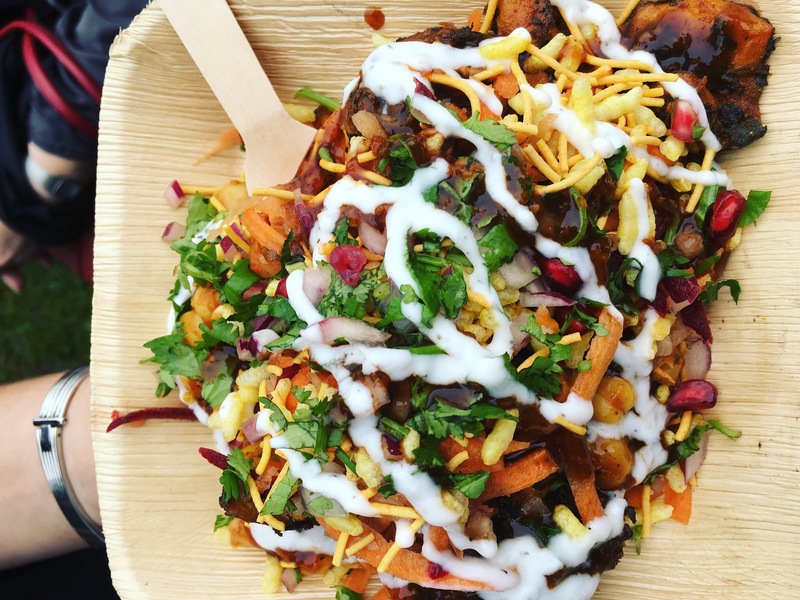 I need to nip back for a lunchtime naan… but the chaat is the bomb!